Subtly sweet, refreshing beverages known as aguas frescas are gaining momentum as the drink of choice for consumers who want a refreshing, non-carbonated option. Flavored with fruits and seeds, aguas frescas (literally translated as “fresh waters”) are native to Mexico and Central America, but they are now finding a warm welcome in the United States. The Coca-Cola Company has responded to the demand with new fountain formats of Barrilitos™ Aguas Frescas, providing operators with the opportunity to increase average check amounts by converting customers who may have otherwise settled on a non-revenue drink option. After a year in the making, Barrilitos Aguas Frescas will launch seven non-carbonated flavors throughout 2017: Pineapple, Strawberry Hibiscus, Mango Lime, Pear Cucumber, Watermelon, Horchata and Tamarind. Containing 3 to 5% juice, most of the flavors are under 100 calories per 12-ounce serving, and all are caffeine- and gluten-free. The new product will be available in two formats — bag-in-box (BIB) and frozen concentrate — which will provide options to meet customer needs for consistent, high-quality, subtly sweet beverages. The concentrate product is sweetened with sugar, contains colors from fruit and vegetable sources, and has no added preservatives. Down the road, the brand is looking to expand into ready-to-drink options, Coca-Cola Freestyle® machines and other channels. It all comes down to creating more choice for consumers. Barrilitos originally was launched in Monterrey, Mexico, in 1938 as a carbonated soft drink in single-serve bottles. Almost eighty years later, The Coca Cola Company acquired the brand, clearly seeing the potential for the emerging category of a still, flavored water beverage with authentic heritage. Upon receiving a prestigious 2017 Food and Beverage Award (FABI) from the National Restaurant Association, Barrilitos Aguas Frescas was officially recognized as one of the year’s most innovative brands. Soon after, Barrilitos launched in restaurants and foodservice outlets across the nation. 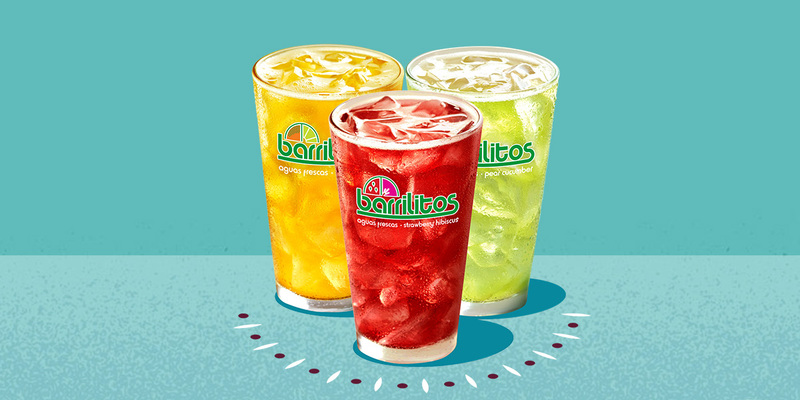 Barrilitos presents big potential for consumption in the quick serve, fast casual, casual dining and convenience categories, as well as restaurants in colleges, amusement/leisure outlets and the workplace, particularly for lunch and dinner occasions.1 Barrilitos fountain drinks are expected to largely appeal to millennials and Hispanics1 who appreciate fruit or traditional Latin flavors. Although several types of aguas frescas have been available in Mexican, sandwich and burger outlets, these existing products are made from either powder or syrups, which can lead to inconsistency and an overly sweet taste. In contrast, Barrilitos products in BIB and frozen concentrate formats offer a high-quality, subtly sweet taste. With the positively perceived1 Barrilitos brand, consumers know they are experiencing authentic, premium quality beverages. With great-tasting flavors, bright colors and consistent product, Barrilitos Aguas Frescas fountain options will be in high demand. For more information on Barrilitos Aguas Frescas options, contact your Coca-Cola representative. 1. Proprietary Study of The Coca-Cola Company, October 2016.